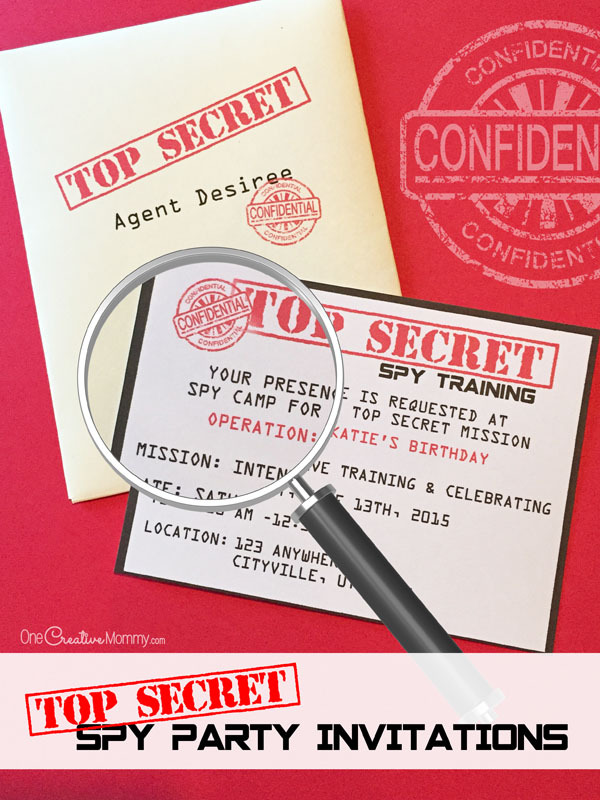 I’ll make it short and sweet today with more Spy Birthday Party Printables. 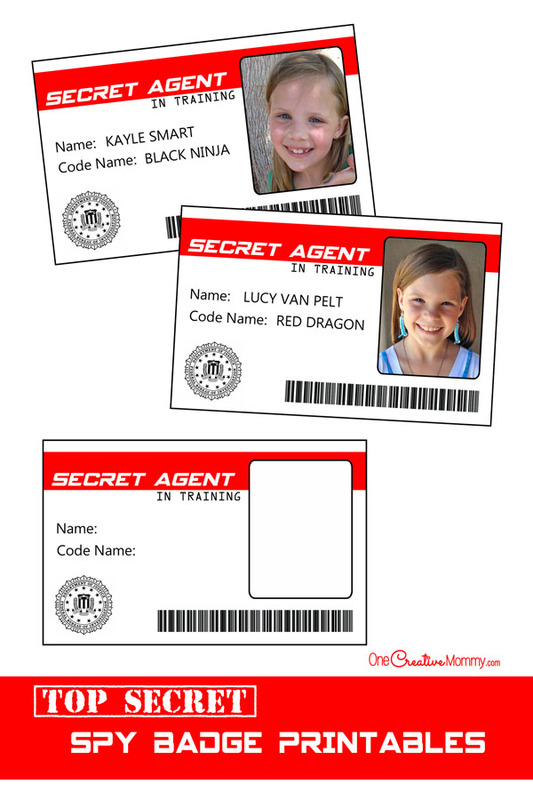 I’m sharing Spy Badges and Secret Agent Photo Booth Props. Normally, kids love to ham it up for the camera, but not this time. 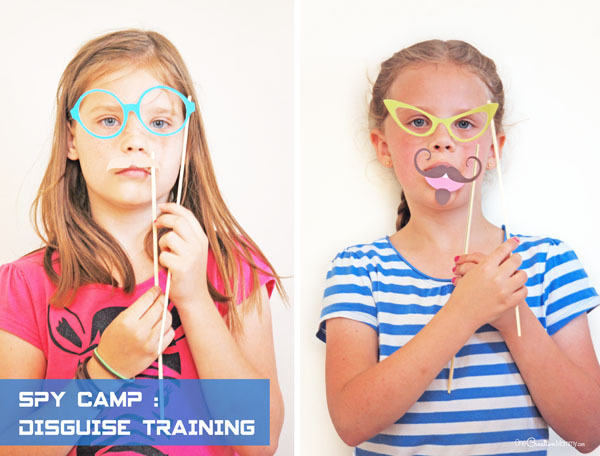 The kids laughed and giggled as the posed, but for some reason, they thought that spies should be very serious. There wasn’t a smiling picture in the bunch! Too funny. I guess they thought they were posing for mug shots! 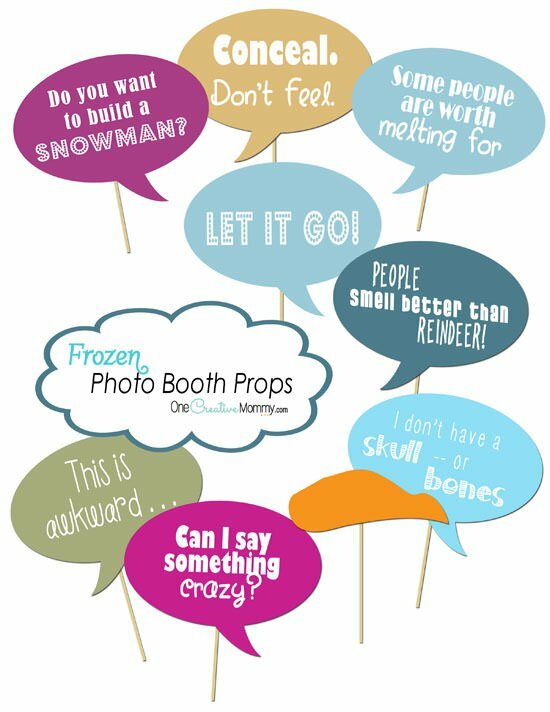 For these printables, just print, cut, and then glue to wooden skewers. You’ll need an x-acto knife for the details. 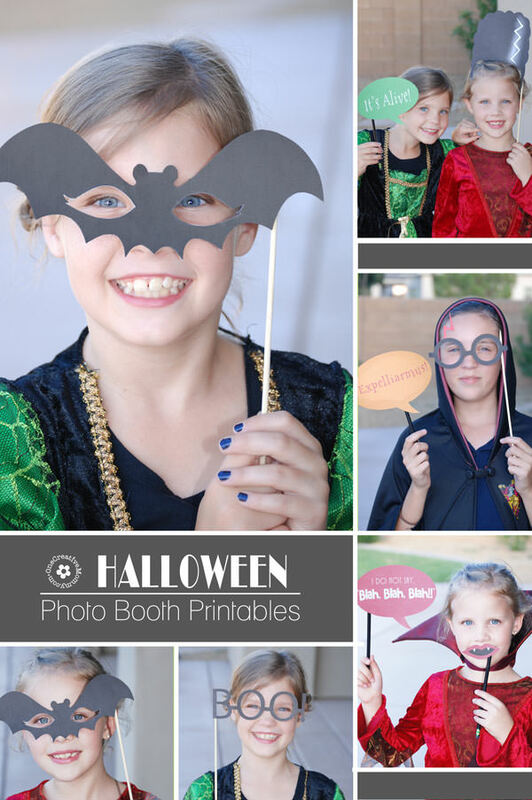 If you have Adobe Photoshop or Photoshop Elements, you can customize them yourself. I’ve included the psd file in a zip format. 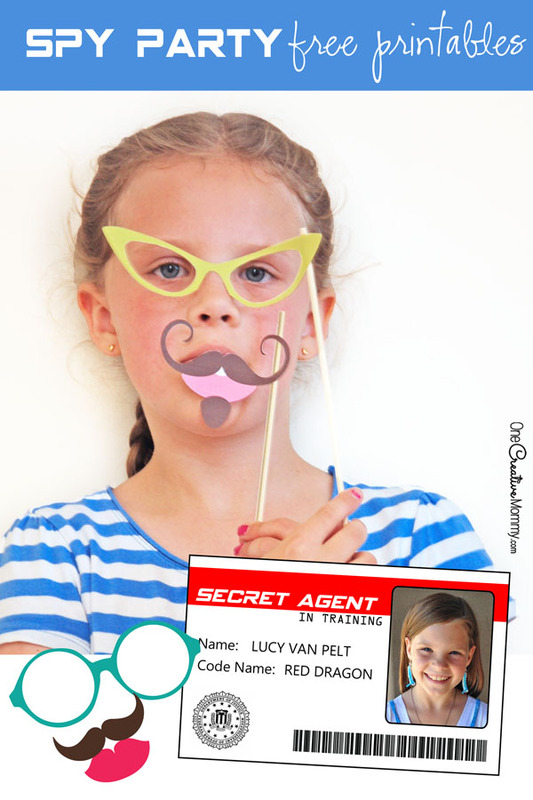 You can print the blank cards and have the kids add their name, spy name, and a photo (or have them draw a funny picture). Ready to download? Follow the links below. The link to the zip file will download a zipped Adobe Photoshop layered template for the spy badges. Unzip the file to add photos and text to the template. Have fun with your party! In case you want to match the fonts, here are the fonts I used on the Spy Badges: Gadugi (Name and Code Name) and Spy Agency Condensed (Secret Agent), and OCR A Std (In Training). Stay tuned for more Spy Party posts coming soon! I just stumbled across your site. This is such a FABULOUS idea! It looks like loads of fun. I’m pinning it so that I don’t forget about it. Thanks, Nina, and thanks for the invite. I’m all linked up. Good luck with your new party! Thank you, thank you, thank you for sharing at my link party. You are so sweet! I hope you become a regular participator. I love the photo booth props. The ‘boo’ eye glasses for Halloween really made me chuckle! You’re welcome, Nina. Good luck with your party!